The Local Organising Group have arranged a number of activities for Wednesday afternoon. A full buffet luncheon will be provided at the Pan Pacific Hotel. After lunch coaches will transport delegates to one of the following four destinations. Maximum numbers apply to some activities and priority will be given to those who register first. Maalinup is the Place of the Black Swan, which acknowledges the galleries location at Henly Brook in the picturesque Swan Valley, Perth, Western Australia. The Swan Valley is the oldest wine growing region in Western Australia and home to great wineries, restaurants, and attractions. You can make a day of it or stay in one of the many accommodation options. Some delicious food incorporating Aboriginal flavours to try. then a peek at the bushfood garden (weather permitting) where you can also purchase plants. 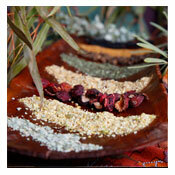 Then back to the gallery to browse our bushfood range, gifts, and artworks. 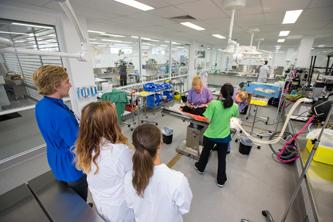 Delegates will have the opportunity to get a behind the scenes tour of The Animal Hospital at Murdoch University and the facilities of the School Of Veterinary Medicine. 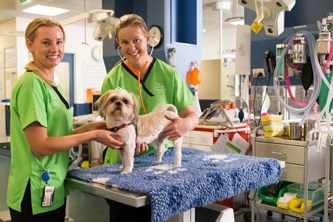 Murdoch’s School of Veterinary Medicine was the first in Australia to be built as a purpose-designed veterinary teaching and research facility, and this is reflected today in the wealth of integrated, on-site facilities providing animal, clinical and research exposure for undergraduates. 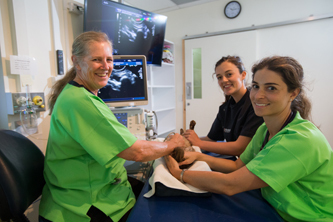 Veterinary science was a foundation course of Murdoch University, with the first class graduating in 1979, and since then over two thousand veterinarians have been trained at the university. Uniquely for a suburban campus, an on-site farm allows production animal handling and clinical skills training within the main university site. 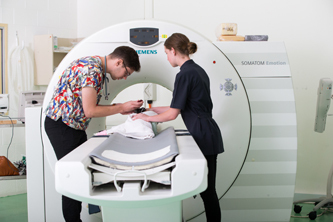 Additionally, facilities include spacious multi-purpose teaching laboratories and lecture theatres, a multi-user microscopy teaching facility, an in-house histology and immunohistochemistry laboratory, purpose-designed anatomy and pathology dissection suites, and a world-class anatomy museum. 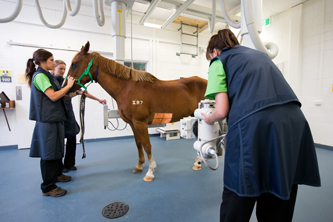 With support from the Veterinary Trust we have recently established a clinical skills centre that will enable our students’ ample opportunity to practice the manual skills and techniques that are required by practicing veterinarians. The Veterinary Clinical Sciences building in the heart of the School houses The Animal Hospital which has divisions dealing with Primary Care, Small Animal Referral, Large Animal Referral, Farm Animal Veterinary Services and Emergency & Critical Care, and a superbly appointed Surgical Teaching Facility. the surgical teaching facility and a visit to the pathology necropsy suite. 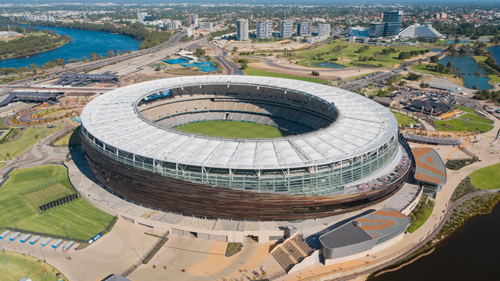 This private tour an exciting excursion that allows your group to experience the inner sanctum of the Stadium. 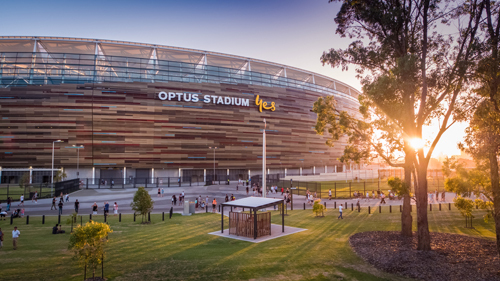 Delegates will have the opportunity to explore the state of the art facilities in The Locker Room and see the amazing views from Level 5. 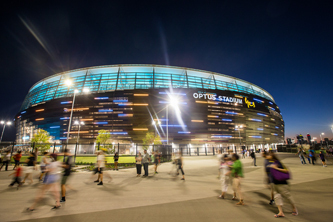 The guided tour will be led by knowledgeable and friendly tour leaders provided by the stadium management. Please note: Delegates are advised that there is approximately 1.5kms of walking on this tour. Stairs also form part of the tour route, however, lifts are available. The tour duration is between 75-90 minutes. A site visit of Sims Metal Management’s processing facility. The tour will consist of a perimeter walk around a yard and a brief discussion/overview meeting in our conference room. A full brief on this tour will be provided shortly. Hard hats, hi-vis vests and protective glasses will be provided at the site, however, we encourage delegates that may have some or all of this safety gear to bring it along with them.